Who is your favorite character on 'Jesse'? Welcome to "Jesse", a site dedicated to the NBC comedy of the same name, that starred Christina Applegate and Bruno Campos. "Jesse" was a half-hour situation comedy that featured Christina Applegate, famous for her role as airhead Kelly Bundy on the hit series "Married...With Children" as single mother of one Jesse Warner. But Jesse was no airhead. In the first season the show was focused on Jesse's relationships with her new neighbor Diego, with her family and friends as supporting characters, while she worked at a bar, aspiring to be a nurse. The second season brought about some changes. Gone were Jesse's family, save her son, and introduced were two new characters, who worked a the hospital where Jesse is a nurse. Sadly, the show ended after only two seasons. The ratings were high, the fans loved the show, but NBC cancelled it anyway. Unfortunately, I never saw the show when it was first airing on NBC, instead stumbling upon repeats on USA during the summer of 2001. I instantly fell in love with the Warner family, and created this website to give other "Jesse" fans a place to find information, as well as a forum through which to talk about the show. Please take some time to look around the site. If you're an old fan, you already know what's going on. If you've stumbled across the site without ever seeing the show, feel free to e-mail me. But before you do, please read the FAQ, it might answer your questions. Enjoy! Please contact me at jessetvfan@email.com with any questions, comments, suggestions, or just to chat about "Jesse". Discuss "Jesse" at the Message Board! 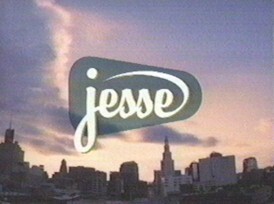 "Jesse" fans have visited this site.